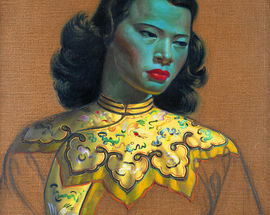 Vladimir Tretchikoff is best known for his portrait Chinese Girl (also known as The Green Lady), one of the most popular art prints of all time. Described by some of his more surly critics as 'the Mona Lisa of kitsch' The Green Lady was sold at auction in London for almost $3.5 million (approximately R15 million) in 2013. It is an artwork that has cemented its place in popular culture for decades - referenced by David Bowie in his video The Stars Are Out Tonight and The White Stripes in Dead Leaves And The Dirty Ground - and which continues to be referenced today (most notably in the work of Cape Town photographer Tony Gum). Tretchikoff was born in Russia on the eve of the Russian revolution. His family fled soon after and settled in China. 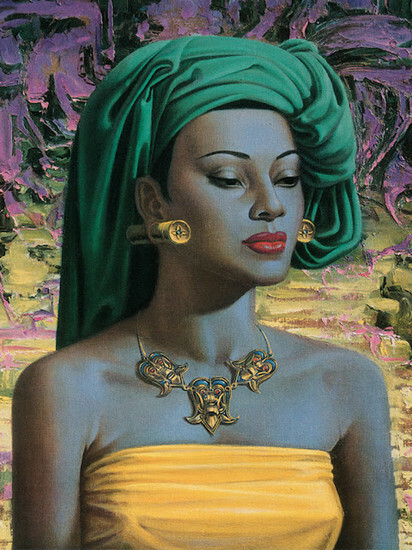 From an early age Tretchikoff embarked on a career in art, working at first as a theatre set painter. During World War II he was employed as a propaganda painter for the British in Singapore and while being evacuated from the Far East to South Africa was shipwrecked and ended up spending several months in Indonesia as a Prisoner of War. Following the end of the war Tretchikoff was finally reunited with his wife who had successfully made it to South Africa. 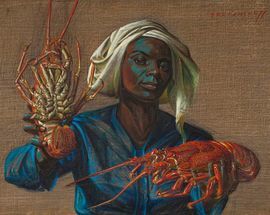 In South Africa he quickly found fame and fortune as an artist with audiences particularly captivated by his portraits. Numerous international tours followed in the USA, Canada and London where crowds turned up in their thousands to view his works. 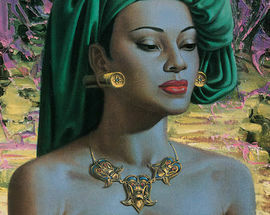 While many critics dismissed Tretchikoff's work as too kitsch or too popular, other critics have defended his popularity and argued that he "achieved everything that Andy Warhol stated he wanted to do but could never achieve because of his coolness" (Wayne Hemingway, Just Above The Mantelpiece). Andy Warhol for his part reportedly took the view "It has to be good, if it were bad, so many people wouldn't like it." 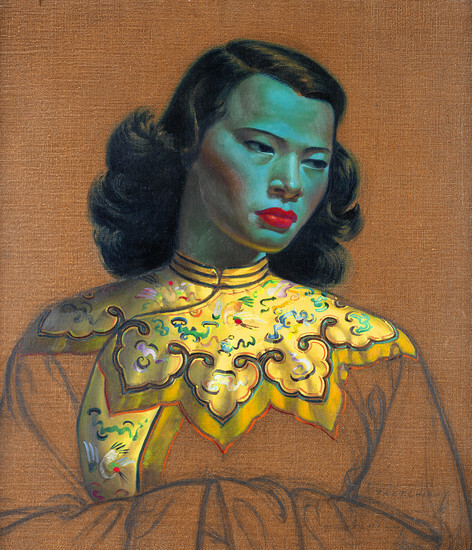 While many think of Tretchikoff as portraying glamorous and sentimental portraits - such as in his iconic images like Miss Wong or Balinese Girl - he was also very interested in capturing the ordinary people of Cape Town where he spent most of his life. 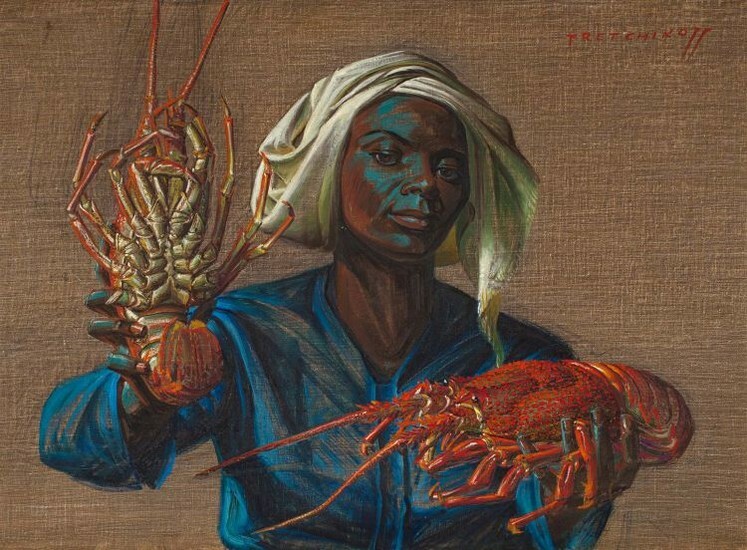 In particular he liked to paint street vendors - crayfish sellers, fishermen and flower sellers, usually depicted in a much more humble portrait style than he become most famed for. 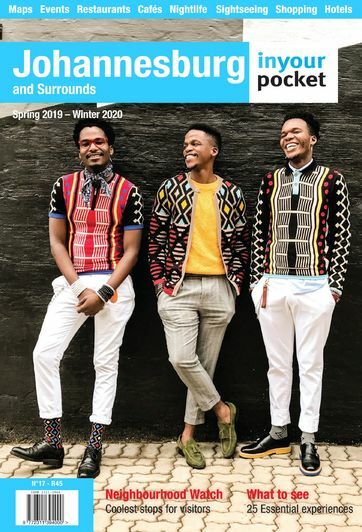 This feature is part of an on-going series highlighting the works of South Africa's most celebrated artists. Previous features have included profiles on JH Pierneef , Gerard Sekoto and Alexis Preller.